AFTER presenting their ideas on ending poverty, improving peace and order and pushing for Charter change in Cagayan de Oro City last Sunday, the five presidential bets will tackle climate change, education, women’s rights and health issues when they face voters in Cebu on March 20. University of the Philippines (UP) Cebu Dean Liza Corro said the format and topics of the second leg of the Comelec-hosted debate for presidential aspirants will be different from the debate last Sunday. The debate will be held at the Performance Arts Hall of UP Cebu. It has a seating capacity of about 500 but only 300 people, mostly students and faculty of different schools, will be allowed inside during the actual debate. The area outside the venue can accommodate another 2,500 people, but officials said they will limit the number of guests to only 1,500 to manage security. Before the debate starts at 5 p.m., UP Cebu will conduct a voters’ education and a series of symposium called “WiseUP Cebu” from 1 p.m. to 3:30 p.m. After the symposium, they will give the candidates time to interact with the people. 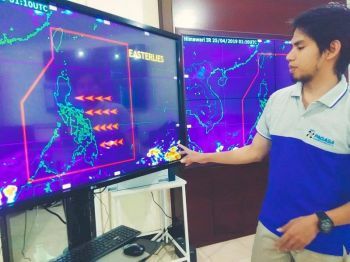 WiseUp Cebu events manager Gregg Lloren said the symposium will focus on the platforms and relevant priorities of the presidential candidates and knowing their personalities. During commercial breaks, Lloren said they will allow the people outside the venue to share their opinion of the previous round of the debate. In a press conference yesterday, Corro said the format of the debate is not the same as the format of the debate at the Capitol University in Cagayan de Oro City the other day. “It would be different here. 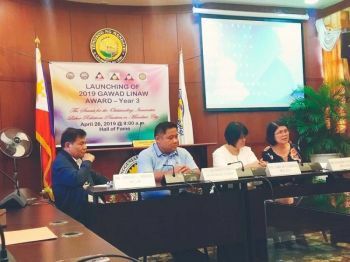 Even the topics given by the Comelec are different, which will include Climate Change, education, women’s rights, and health, among others, are different from that in Cagayan de Oro City,” Corro said. Officials of the Commission on Elections (Comelec), UP Cebu and their media partners will meet later this week to decide on the format, and may consider changes in the debate following last Sunday’s event. When asked if they expect rallies to be held during the debate, Corro said they are used to it in the UP Cebu campus. Aside from discussing the candidates’ platform, the symposium will also tackle the Marcos regime and the party-list system. Dr. Weena Gera, WiseUp Cebu chair, was asked if discussing the Marcos regime would be tantamount to black propaganda against the Marcoses, particularly Sen. Bongbong Marcos, who is running for vice president. 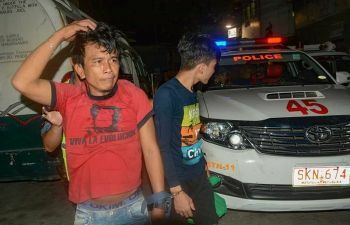 Meanwhile, Cebu City Mayor Michael Rama still refuses to debate with former mayor Tomas Osmeña, saying that the latter doesn’t deserve his time. Rama is seeking a third term under his local political group Team Rama, an ally of the United Nationalist Alliance (UNA). He will run against Osmeña of Bando Osmeña Pundok Kauswagan, an ally of the Liberal Party. Even without the debate, Rama said his opponent’s camp has already been spreading lies against him. Osmeña has been openly challenging Rama to face him in a debate. “He crafted simple arguments to project intelligence. That’s a hard act to follow,” he said. Davao City Mayor Rodrigo Duterte and Senator Grace Poe, also both did well, Osmeña said. While Senator Mirriam Santiago also performed well, Osmeña said people want more out of her because they had high expectations of her feisty, witty reputation.